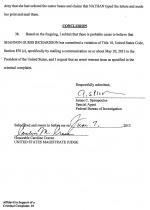 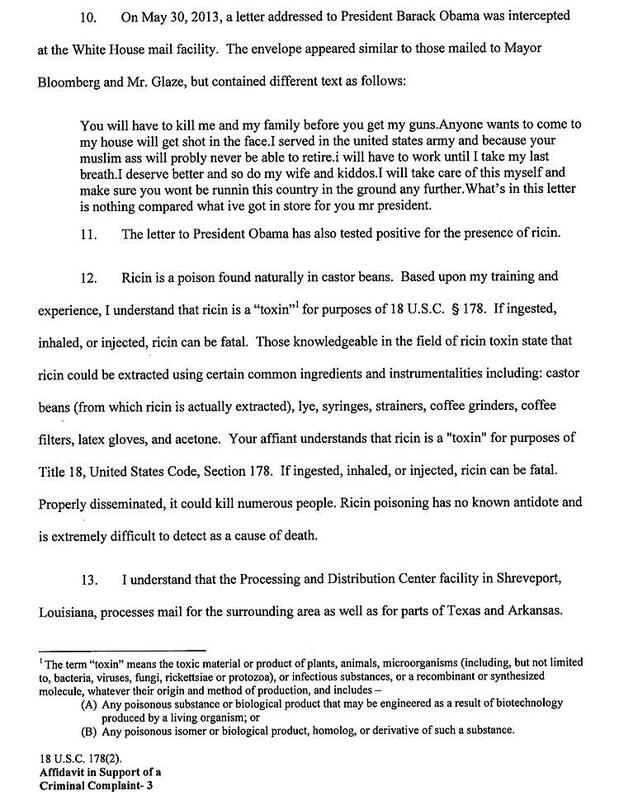 JUNE 7--A high-tech computer system that captures images of “every mail piece that is processed” by the United State Postal Service was critical in helping federal agents track the Texas woman arrested today for allegedly sending ricin-tainted letters to President Barack Obama and New York City Mayor Michael Bloomberg. 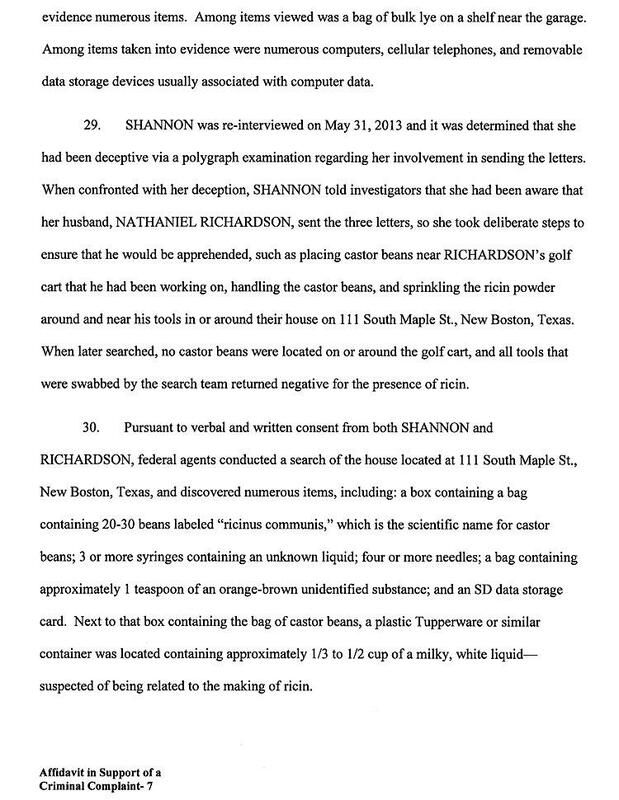 In a U.S. District Court complaint filed today against Shannon Guess Richardson, an FBI agent details how investigators traced the ricin letters back to New Boston, Texas, where the 35-year-old Richardson (seen below) lives with her husband. 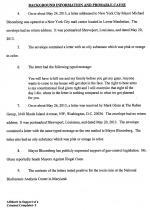 The Bloomberg letter was opened at a municipal mail center in Manhattan on May 24, while the letter to Obama was intercepted May 30 at an off-site White House mail facility. 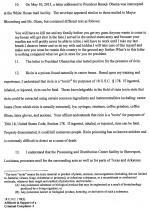 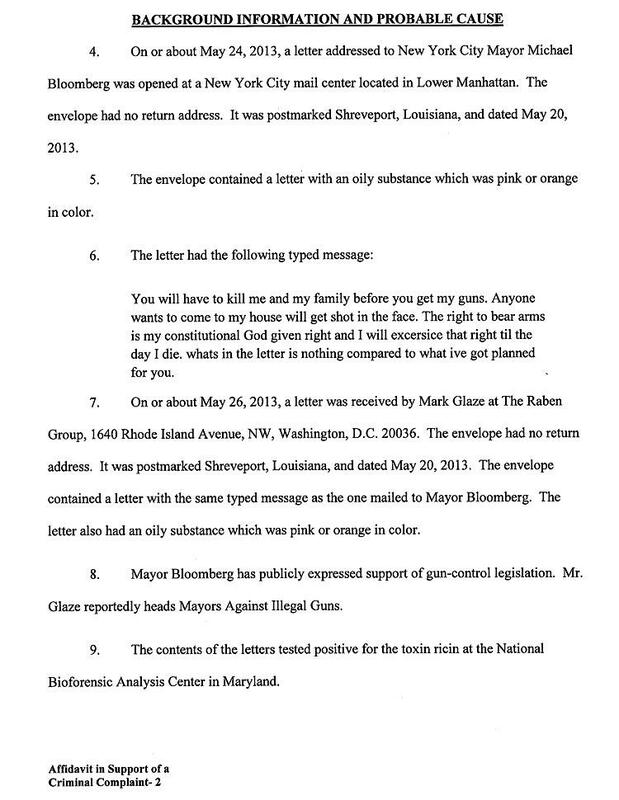 A third ricin letter--sent to an anti-gun group funded by Bloomberg--was received at a Washington, D.C. office on May 26. 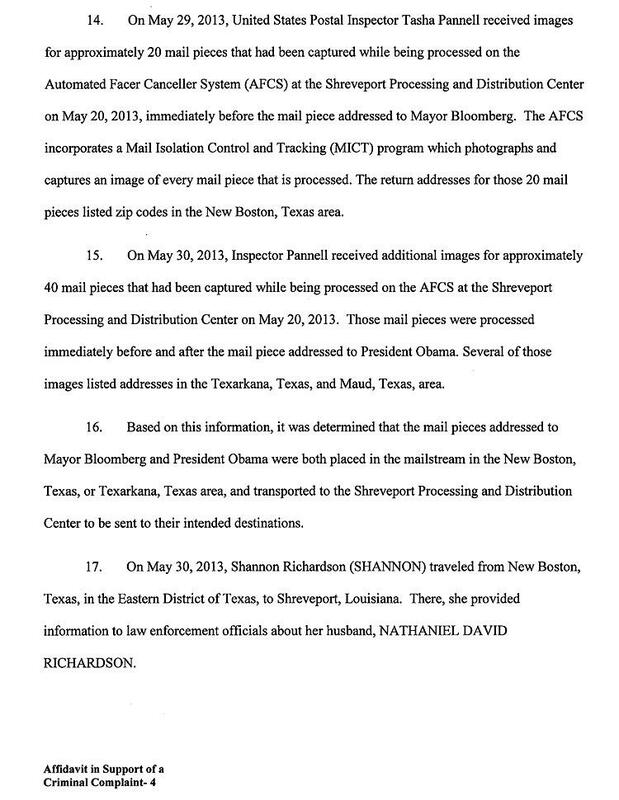 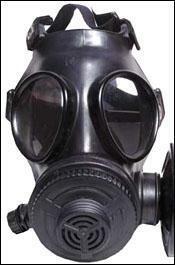 A review of that mail revealed that each piece carried return addresses listing zip codes in the New Boston area. 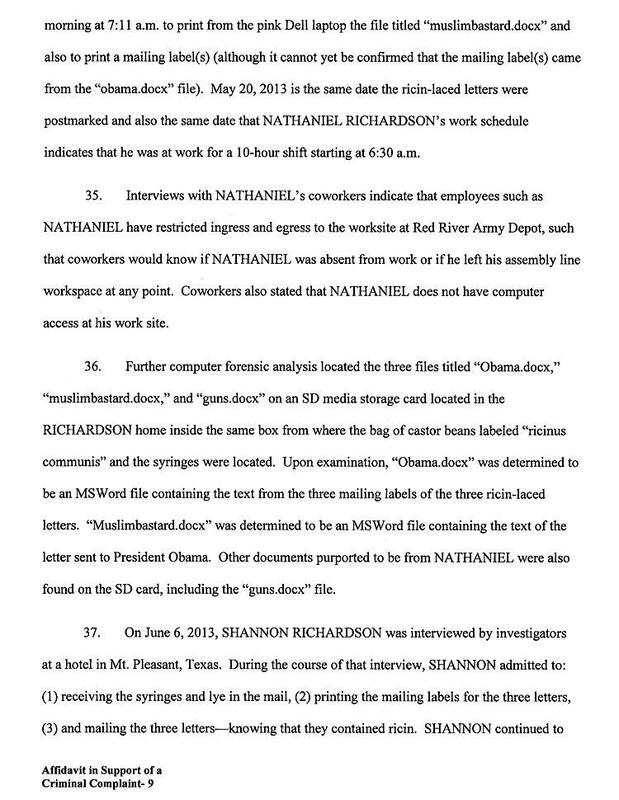 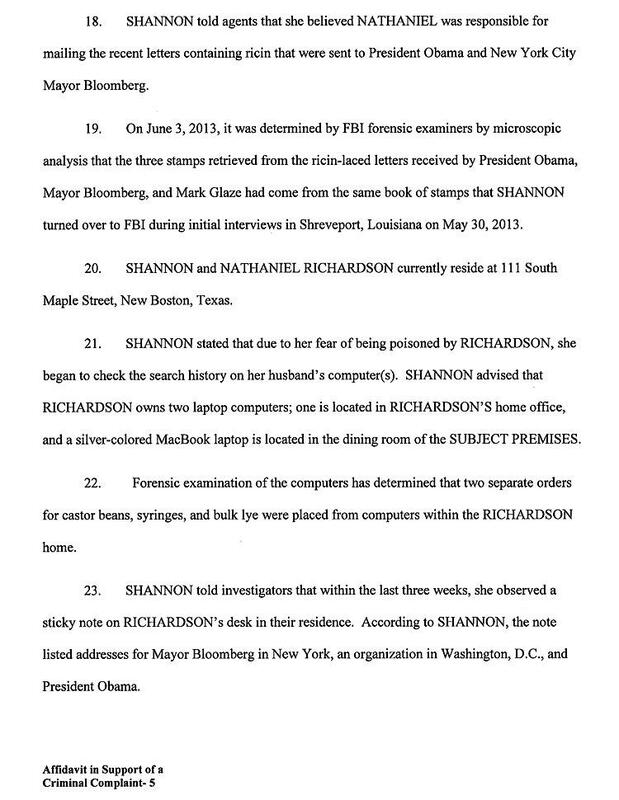 According to the felony complaint against Richardson, she confessed yesterday to “mailing the three letters--knowing that they contained ricin.” She repeated earlier claims that her husband Nathaniel, who has not been charged, was involved with the Obama and Bloomberg mailings. 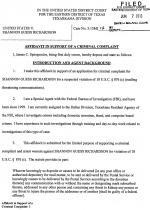 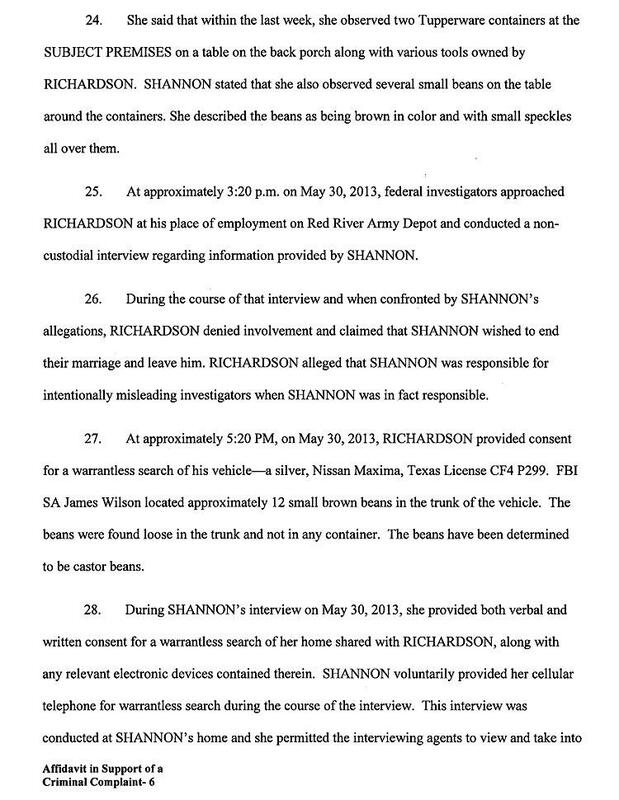 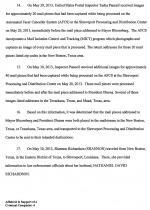 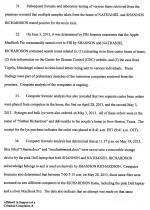 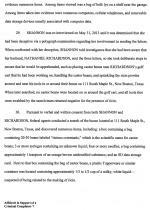 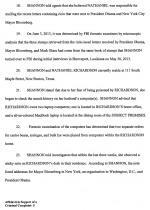 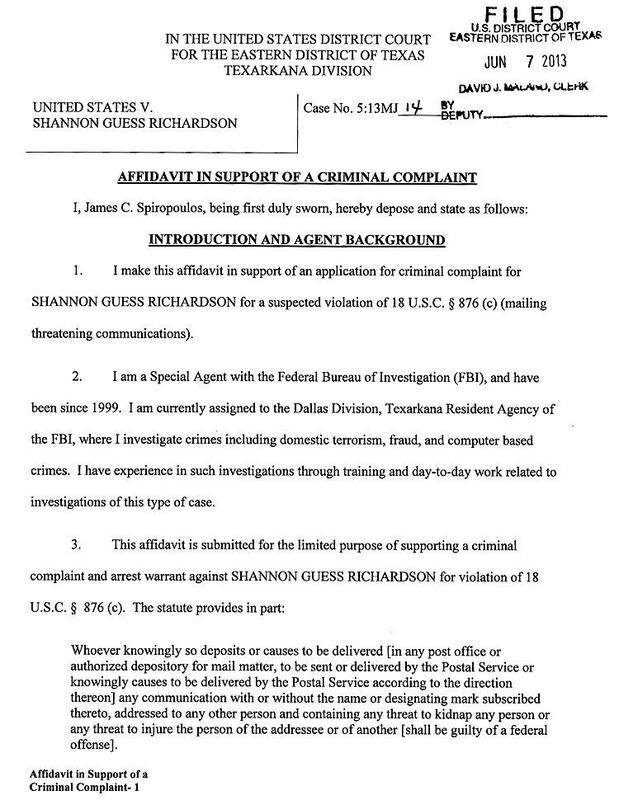 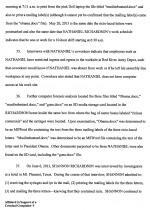 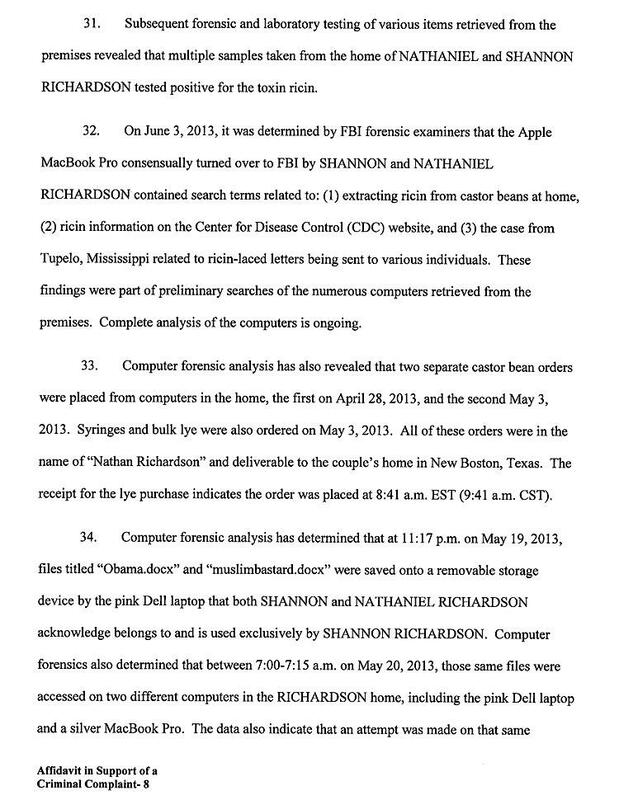 Richardson alleged that her spouse “typed the letters and made her print and mail them,” reported Agent Spiropoulos.